A solid pay-per-click (PPC) marketing strategy is no longer optional for businesses that want to succeed. Once upon a time, as a small to medium-sized business, you could count on organic search results to get you noticed. This is no longer the case. PPC visitors are 50 percent more likely to commit to a purchase than someone who has reached you through organic search. That isn’t a revenue building opportunity that you want to miss out on. The key to a successful PPC strategy is management. How you manage, analyze and tweak your strategy along the way will determine your results. To effectively manage your PPC campaign, you need the right tools. You also need access to these tools when you need them, no matter where you are. Apps for your smartphone make this possible. 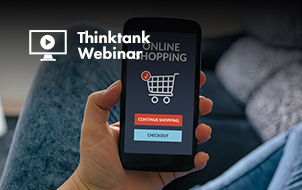 Are you ready to get more clicks and turn browsers into customers? 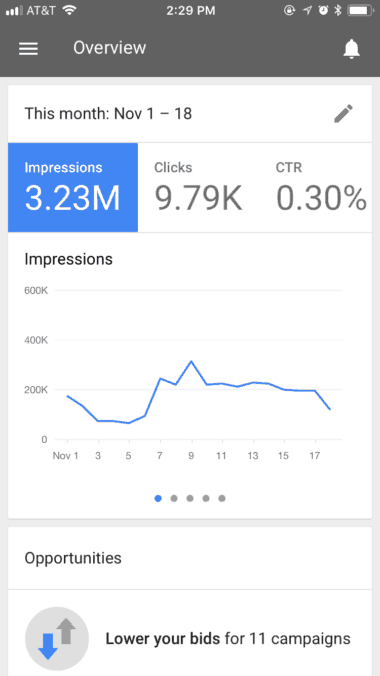 Here are the essential apps you need in your PPC toolbox to manage everything from ad accounts to reporting to team collaboration. We all know that Google AdWords is hands down the most commonly used search engine. We also know that the majority of paid keyword budgets are spent on the platform. 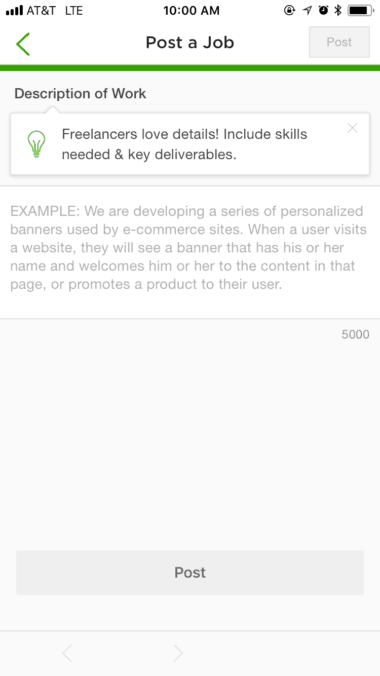 As a result, the AdWords mobile app is arguably the most important tool that will be included in the list below. The AdWords apps make managing your PPC campaign a seamless process, no matter where you might be. Analyze how people are interacting with your ad by monitoring clicks and click-through rate (CTR). Immediately act on suggestions to drive your campaign. Stay connected with real-time notifications. Contact a Google expert directly for guidance and suggestions. 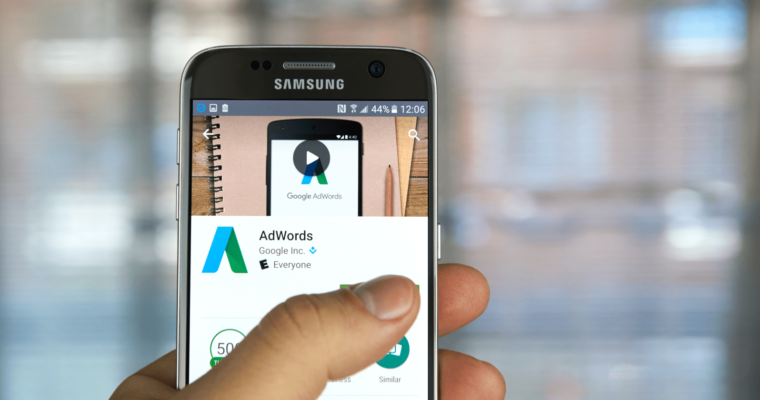 Google AdWords is available in the Google Play Store and iTunes. AdWords Express is available on the Google Play Store and iTunes (note: this app won’t work for AdWords accounts). While not available for everyone (yet), the Local Services Ads app is similar to AdWords but focused on local services and allows local vendors to be discovered online and get more job requests. 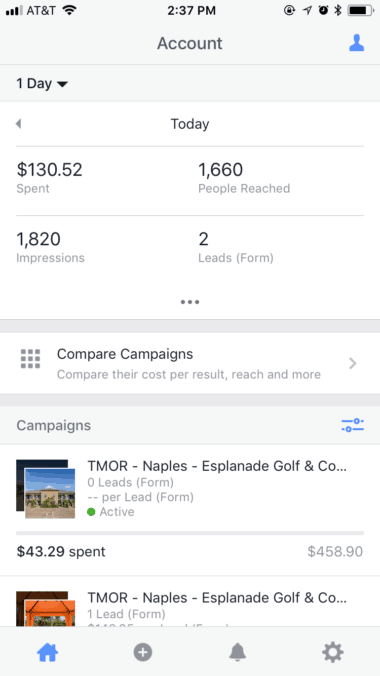 Within the app, you can set up ads, pay for and manage leads, view reports, manage reviews and, of course, manage your budget. Available in the Google Play Store and iTunes. 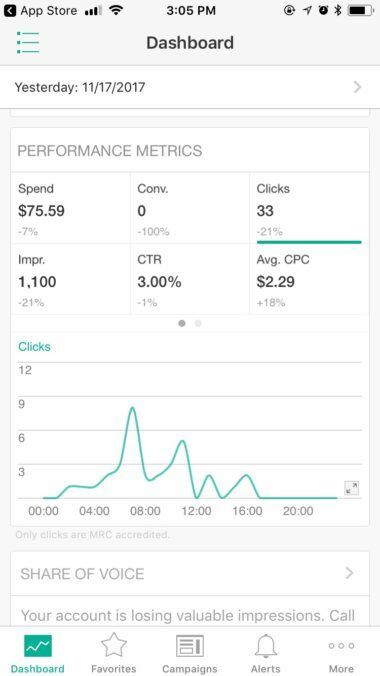 The Bing Ads app will help you keep on top of your PPC ads and connect with more customers. Bing Ads offers many of the same features as Adwords. Visual account metrics for easy comparison. Access to all your campaign data in a single touch. Easily update budgets and bids. Access to Bing support experts. About 80 percent of online users have a Facebook account. In fact, Facebook is Google Play’s most downloaded app. You already know that Facebook offers an incredible opportunity to reach new markets and convert people into real customers. Facebook offers a PPC platform that cost less than many others. Combine this with the potential reach and you have success in the making if you keep up with managing your account. 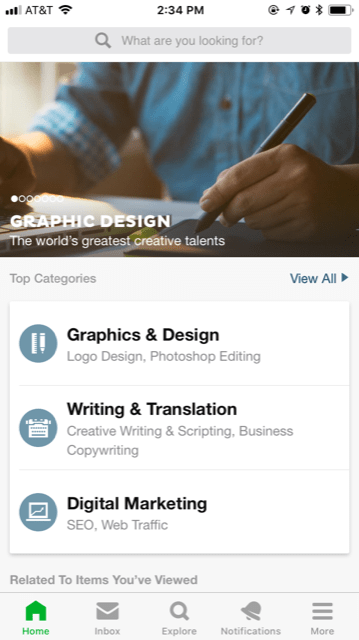 The Facebook Ads Manager app makes this easy. Create ads, edit your ads, keep track of how your ads are performing, and most importantly, stay in control with the essential app on your smartphone. If you’re driving traffic to a website, you’ll likely need Google Analytics to take you several layers deeper into your data, giving you greater insights into how your campaigns are performing. You can also build your own reports using any combination of metrics that you feel is important to your campaign success. Microsoft Excel is a paid search marketer’s best friend. You need this app! Available on Google Play Store and iTunes. 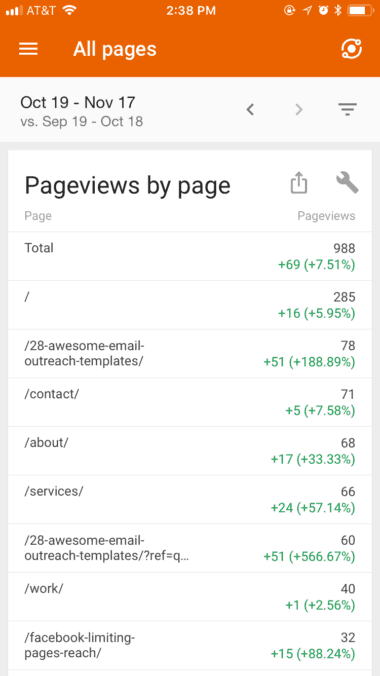 You can work on the Google Sheets app while offline to review data, start pulling performance data together, or simply review what’s happening in an account. 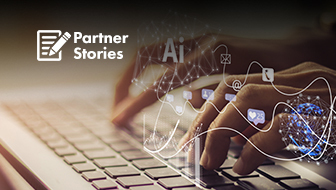 From creating documents to choosing who they need to be shared with and responding to comments in real-time time, this app enables you to share PPC campaign information, generate call agendas, and much more while you’re on the go. 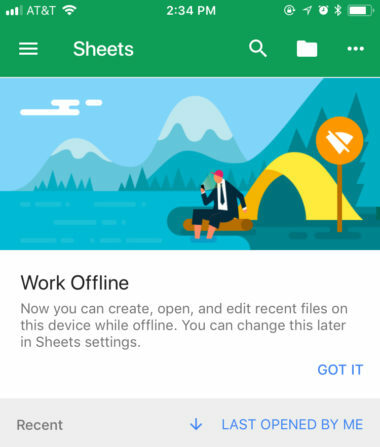 Everything you value about Google Sheets and Google Docs can be accessed within the Google Drive app and brings all of these documents together in an easy to organize and access dashboard. 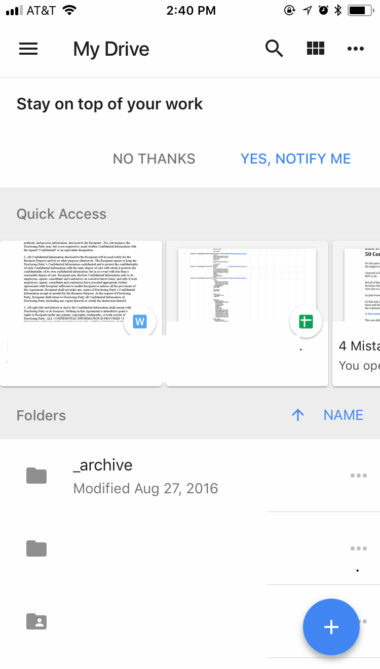 By saving each document to your Google Drive you can now access reporting, strategy documents and call notes from anywhere. 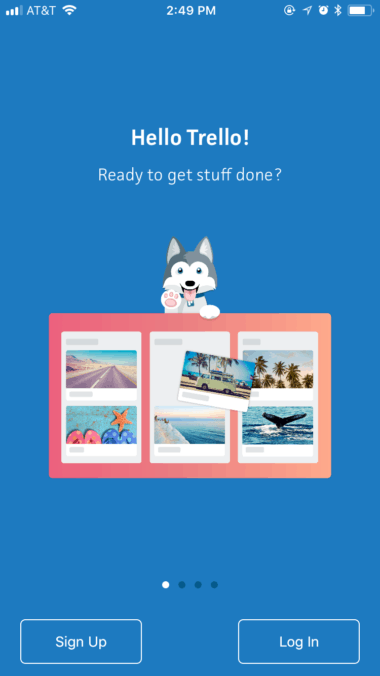 Similar to Google Drive, Dropbox will keep your files in sync for easy access across all of your devices and also allow you to access files while not connected. Perhaps the only drawback is the limited size in their free version. 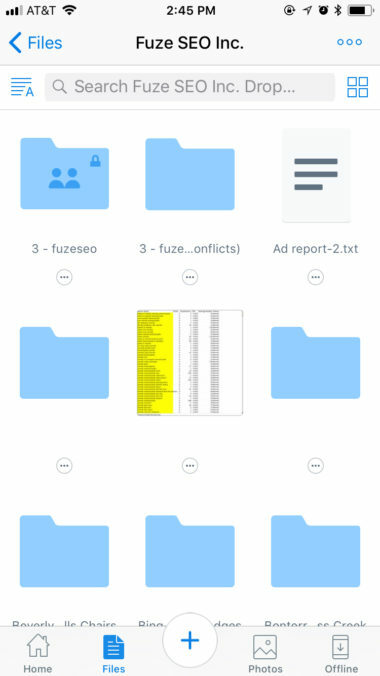 Comment on files to share feedback with your team. 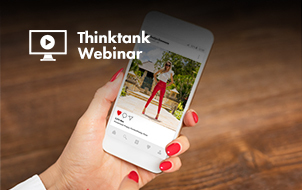 If you’re running a display or Facebook campaign, you’ll likely need a creative asset on short notice at some point. While Fiverr can be hit or miss in terms of quality, with a thorough project request, you can get an asset turned around quickly while on the go. Project manage your creative projects by setting milestones and pricing. Review and approve files or screenshots. A solid photo editing tool can be a marketer’s best friend, especially if you’re running a PPC campaign on social media platforms. Professional looking images are a must. With 29 professional level tools and features, this app will take any image, even the one you snap with your phone on an impulse, and make it flawless and visually appealing to your potential customers. Great images encourage people to click. 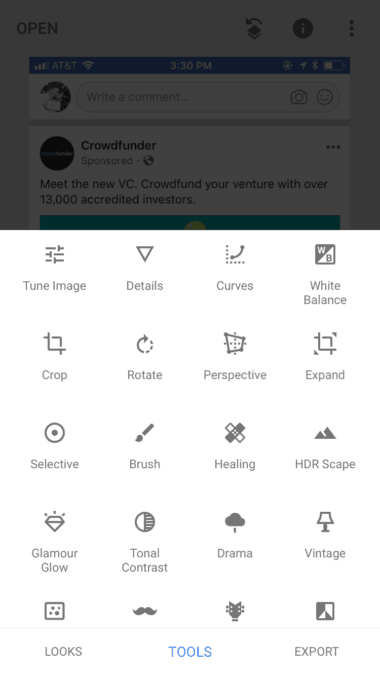 Snapseed will make sure your images don’t fall flat. 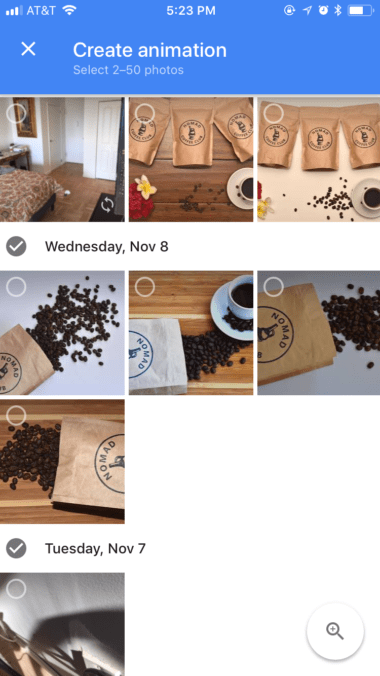 Google Photos will save you space on your phone and prevent the dreaded “out of storage” messages for iPhone users. Acquiring customers and contacts through your PPC strategy is only half the battle. Once you get them, you need to be able to keep them. Zoho CRM is a great app, especially for small businesses where a personalized approach to customer relations is not only appreciated, but expected. This app makes your life easier by combining tool that, at one point, you would’ve needed several apps for. 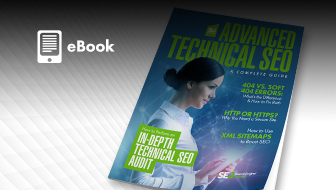 Manage leads, contacts, and tasks. Easily find out necessary information about your customers. Locate leads and contacts on maps and analyze the geographic data of your customer base to optimize your SEM efforts. Receive real-time alerts and communicate with your team. PPC and email are two marketing strategies that work great together when you know how to use one to increase results with the other. PPC campaigns and Facebook lead ads are a great way to grow your email list. 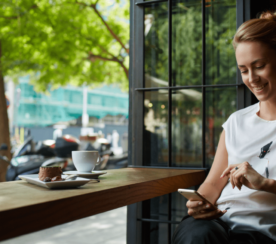 From your mobile device you can create and manage campaigns, track revenue, ROI and e-commerce sales, and easily keep track of account activity that might otherwise fall under your radar. Hard work and a lot of details go into creating a successful PPC campaign. 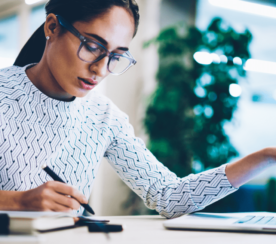 Once you start to see results, it can become difficult to keep track of everything that needs to be done to keep your marketing strategy going strong, especially if you work remotely or are frequently out of the office. This is where the Trello app comes in. Trello will help you create boards and organize all the necessary tasks that help you turn visitors into customers. 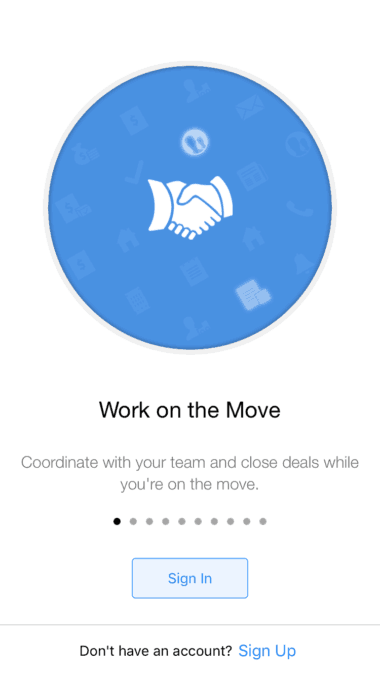 Plus, you can easily share and delegate to your team. Never underestimate the power of a good organizational tool. Trello is just the app you need. 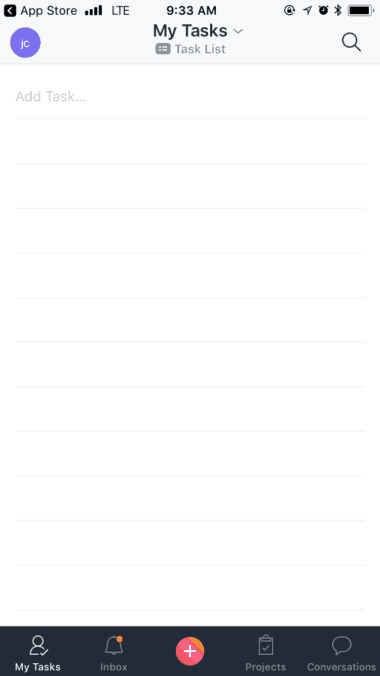 Probably my favorite app on the list. Slack, provides an easy to use communication and collaboration tool for teams no matter their location. Organize and communicate by client, project, etc. Edit and collaborate on documents. Easily integrate with many of the apps in this list including Google Drive, Dropbox, Asana, Zendesk, and more. Easily search archived projects, files, and conversations. 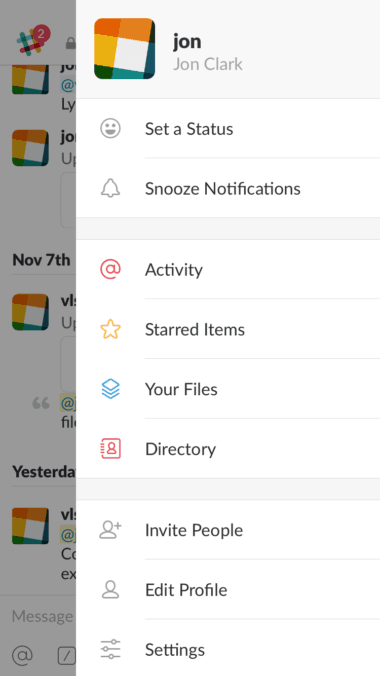 Asana will allow you and your team to keep track of tasks and projects and is best suited for work with Google Suite. And it’s free for teams up to 15 people. If you manage a lot of clients and/or you have access to a wide variety of tools, then you probably have a slew of passwords you need to remember at any given time. And, if you’re like me, you forget that password at the most inopportune time. 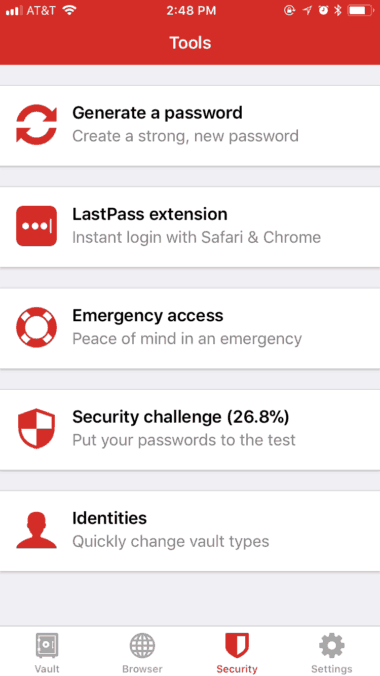 LastPass will put that anxiety to rest. Store and sync all of your online account usernames and passwords in a central location. Automatically fill in forms, credit card info and saved passwords. 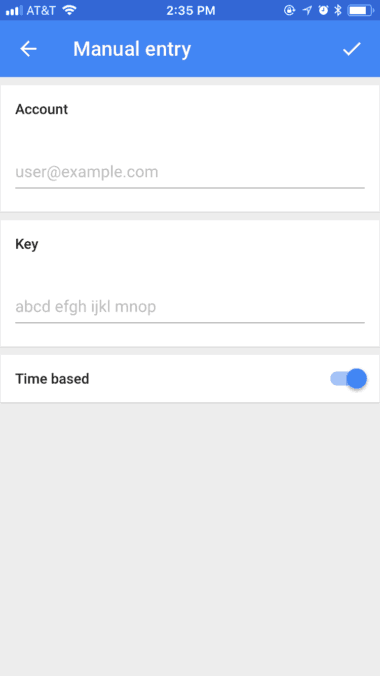 If you run out of password ideas, generate very secure password combinations using the app as well. Set up emergency account access with shared access for team or family members. 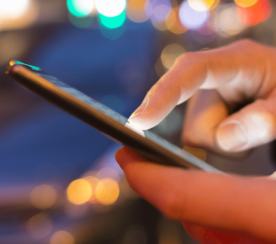 More companies are moving toward two-step verification. 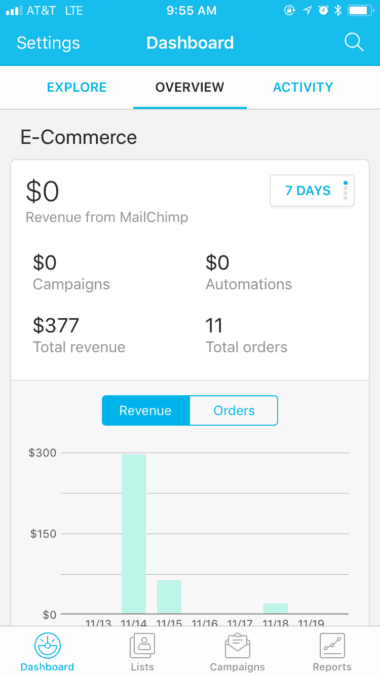 Some companies (like MailChimp) are now offering discounts for customers who leverage it. Take advantage of the additional layer of security when working remote. 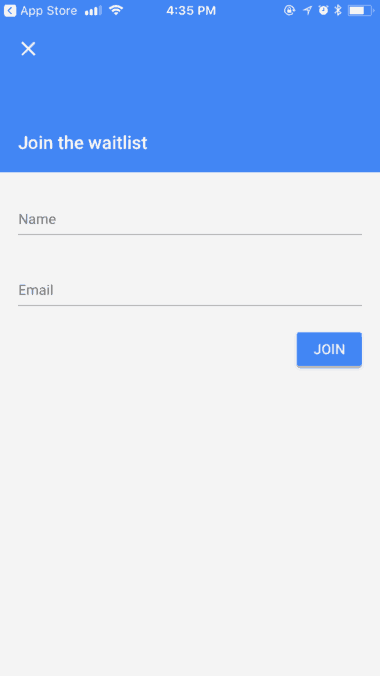 Once Google Authenticator is configured, you will be able to get verification codes with or without a WiFi or cellular connection. 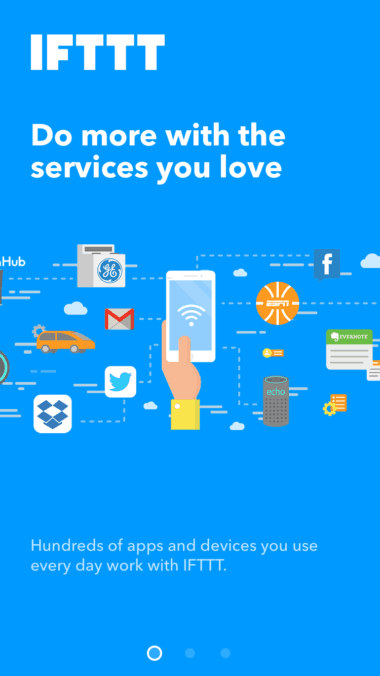 IFTTT brings all your favorite services together to automate and improve the way you use them. With over 500 integrations, you can streamline your social profile management, add items to a Google Doc automagically or send an email/text if you’re running late to that client meeting. My favorite thing about this industry is the ability to work remotely. With that comes coffee shop crashing, working in conference center lobbies and a slew of other crowded and noisy places. 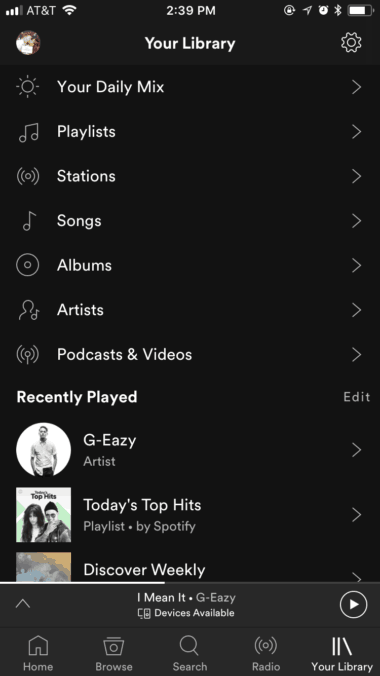 While there are many music apps to choose from, Spotify is my preferred option to shut out the noise and concentrate when I need to. Marketing your business is hard work. There is no reason to not take advantage of great tools that have been designed with your growing business and your needs in mind. These are the apps we use on a daily basis to make managing our client’s business and PPC campaign easier and more successful than ever. Hopefully, they help do the same for you. In-Post Photos: Screenshots by Jon Clark. Taken November 2017.